Great article... Thank you........ you just saved me from spending $99 on a pretty much useless SSD. I noticed that ocz have released core v2 series of their ssd. It seems to come in a different size configurations than its 1st gen product, can you confirm if this is based on the same controller as its 1st gen product Anand? Also, i would love to see some ssd raid action since ssd does not lose its data when the array fails. I'm more interested to see if there is other limiting factor when you raid with such fast ssds, such as the motherboard chipset itself. If raiding two of those cheap $99 core 32gig ssd helps to reduce the write bug, it might be worthwhile buy, which was something i was thinking of doing till i read the review here. Core drive or Supertalent/Patriot JMicron JMF602 victims? In total I have four drives based on the JMF602 controller: one from OCZ, SuperTalent, Patriot and Silicon Power. Of the drives, the OCZ Core is the oldest. If you look at page 9 in the article I've got a table that has the SuperTalent, Silicon Power and OCZ Core drives in it. The Silicon Power and SuperTalent drive both perform worse than the OCZ. The situation gets more interesting if you look at the Iometer results for the drives, which I didn't publish in great depth but I did run internally. Average write latency goes down tremendously on the SuperTalent drive, but max latency more than doubled. I suspect that the SuperTalent drive may use a newer version of the JMF602, but the result is a reduction in real world performance - at least in the test cases I ran. The inability to complete an OS install also applies to other drives. As I mentioned in the article I had the same problem with the SuperTalent MLC drive in OS X. While there are undoubtedly ways of attempting to lessen the impact of the JMF602's poor design, I believe only a new controller will actually completely address these problems. This is why I love your website. Lots of your articles are so in-depth they make me think I'm reading some grad school journal that I should be paying money for. I actually first saw the Intel SSD article on TomsHardware, but didn't even bother to read it because I imagined it was going to say something like "OMG INTEL SSD ROX LOLZ SO MUCH FASTER THAN OTHER HDS"
I come here expecting to get a detailed analaysis, and that's always what you provide! Thank you so much. My only gripe is you seem to have skipped a very basic test- dragging and dropping large files! You combine extracting files with other tests but you don't have any basic drag + drop tests I saw. This rocks for the computer industry though. I personally couldn't believe so many people were buying the existing SSDs. 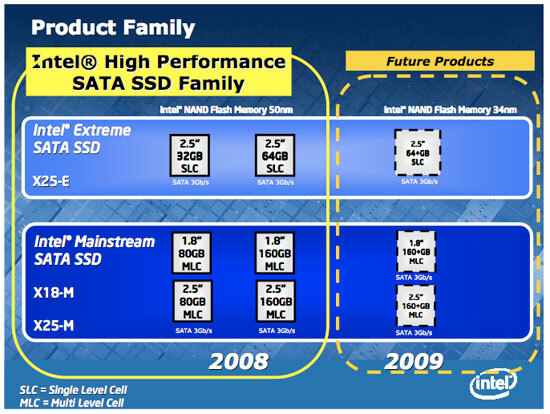 This new Intel stuff looks like something that would actually make an improvement without compromises. I could certainly live with the capacity, I'm still running a 36GB raptor for my boot drive. Hah. I must congratulate Intel for adressing the issues with MLC and creating a brilliant product. Also thanks to the author of this article to point to the problem of MLC that seems to go by unnoticed by so many benchmark review sites. The initial price from intel is suggested retail price so I guess in a short while this should come down a bit, as its a bit over the top. As the author says, at around $400 this is a no-brainer for an enthusiast considering the improvement you will experience on your system. This is for me the most important advancement in computer technology in the last years and we are just starting to see the advantages of it. Besides the person sitting behind the keyboard, the slowest thing in your computer is the harddisk. You can swap CPUs and GPUs to your hearts desire, but eventually, percieved performance of a computer often boils down to how fast you get data in and out of system memory. 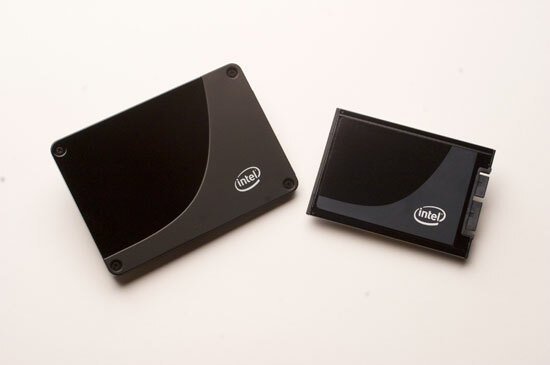 SSDs will fix this technological void we have had for all these years with mechanical disks. I'm looking into creating a small multimedia PC where by I'll be archiving all my DVDs to DivX and running them through the PC instead of a DVD Player. 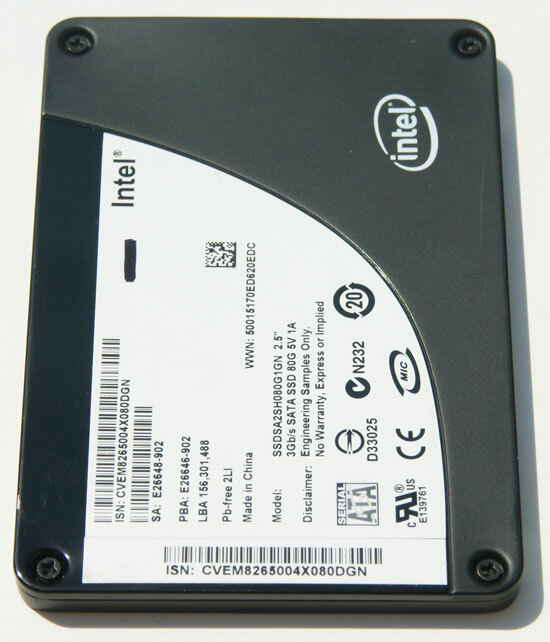 Would I see any benefits in performance and acoustics (I don't want any noise from the PC interfering with my viewing) by having the OS on the Intel MLC SSD while storing the movies on a mechanical HDD?